This post will help you to access and control Windows 10, 8, 8.1 PC desktop/laptop using Android device from anywhere. Sometimes your Windows powered device is not around but all of a sudden you need to access Windows for some tasks. In such cases, you can access Windows from Android device no matter where you are and perform all Windows related tasks straight from your Android mobile or tablet. If you are outside home and a need of accessing a work related document or data saved on Windows PC arises, in such cases, you can use some great apps that enable you to remotely control your Windows 10, 8, 8.1 running devices from Android phone or tablet. Although, you will find plenty of apps on Android’s Google Play Store that claim to help users remotely access Windows but most fall short of their promise. We decided to give these apps a try and found the following apps are the best of the lot that allow you to access and control Windows running device remotely to access data and information. The apps mentioned below have been selected based on their easy of use, performance, stability and features. Feel free to try all or any one of the apps below to access and control Windows from Android device. Let’s have a quick look at the features and how to use these apps. This is the official app from Microsoft as you might have already guessed from its name. Best thing about Microsoft Remote Desktop is that it presents a quick and fast way to access Windows 10, 8, 8.1 device without having to install any additional software or third-party program. 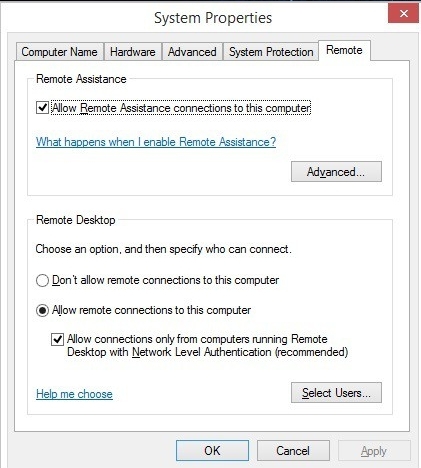 This official remote desktop app from Microsoft uses advanced RDP protocol that enables stable connection so that accessing Windows devices from Android phone or tablet is possible from any distance. To enable Microsoft Remote Desktop, go to Control Panel > System and Security > System and click on Remote Settings from the left panel and then on the Remote tab. After that, check the Allow remote connections to this computer option. Once done, connect your Android device to Windows 10/8/8.1 PC. Install the app and launch it and tap on the + sign. Next, enter a name for your connection, the host name, IP address of PC and login information and hit the Done button when finished. This second app on our list transforms your Android phone/tablet to a Windows running device so that you can access data saved on your PC at home. 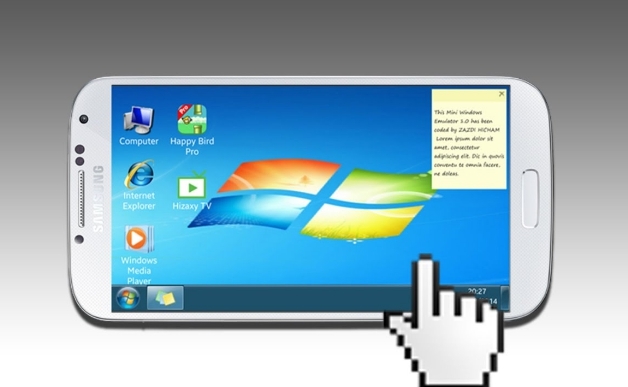 With Splashtop 2 Remote Desktop, you can access Windows device across the internet. Moreover, this app comes with the full support for touchscreen apps, making it easier to use them on Android running devices. Free version of Splashtop 2 is best for personal use that will allow you to control and manage your person Windows PC from anywhere using Android device. 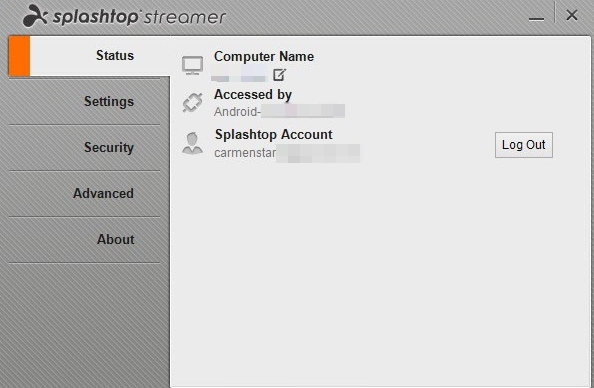 Splashtop 2 Business app is the paid version that offers connection support for up to 5 computers at a time. Download and install Splashtop 2 app on your Android device and create a new account if you are using it for the first time. Its better if you use same username and password as on the Windows device for fewer connection errors. After installing the app on Android device, head over to the developer website and download PC version on Windows 10/8/8.1 on desktop PC / laptop and login using the same account details you used to create account on Android device. Launch the app and let it search your PC from Android device for establishing connection. This Android app for remotely controlling Windows is a light, fast, and secure app from one of the world’s best developers of such apps. TeamViewer allows you to control not only Windows but also MAC, Linux and other Android devices from anywhere. You can download this app from official download site. Besides, you can also download it from Windows Store or Google Play Store. Download and install TeamViewer for Remote Control, launch the app on both the device you wish to access remotely and the Android device, create user account using the same login information and you are all set to use it. Apart from the apps mentioned above, there is another great free app called Windows 8 Controller Free which you can use to easily control Windows 8 running device from Android device. Download Windows 8 Controller Free from Google Play Store or from the official site. After installation you can choose to set auto connection option or manual connection by entering the IP address of your Windows device in the Android app on phone or tablet to create a link between remote devices. These were our picks that we consider are among the top performers when it comes to remotely access and control Windows devices from an Android phone or tablet. If you think we missed any other similar or better app, do share with us in the comments section below.